Make a mud pit as this is great for splashing in; experimenting with consistency for creating mud pictures; mixing up hearty concoctions with old pots and pans; and of course, making mud pies. Fill an old ice cube tray with mud and leave outside overnight to freeze in the freezing temperatures. Turn the mini bricks out for lots of building fun. Add small world figures for firing imagination. If you don’t fancy getting messy, make frozen mini ice bricks instead to build igloos with. If it’s damp and cold outdoors then why not create a fire pit for charcoal making, toasting of marshmallows and warming chilly fingers by the fire? Share a flask of hot chocolate for the best snack ever! Make ice sculptures to hang on the trees. Simply arrange holly and other foliage or sliced citrus fruit in transparent plastic takeaway containers. Add a loop of string for hanging, fill with water, put the lid on and leave to freeze over night. Freezing accentuates the colours in the leaves, berries and fruit creating a truly mesmerising display guaranteed to melt even the frostiest heart! If we take the time to watch children, and I mean really watch them rather than pre-judging or paying lip service to this as we busy adults are prone to do, then they can do as Rudyard Kipling suggest, ‘teach us delight in simple things’. It doesn’t happen though unless we give them the time and freedom to become truly absorbed in whatever captures their interest, be it an unusual stone, an insect or inviting puddle. If you’ve ever tried to walk anywhere fast you’ll know how much there is for young children to marvel at in everyday life and how open they are to its possibilities. Us adults in contrast miss so much by virtue of being in a rush and plagued by preconceptions. With this in mind storytelling guru #MiltonErickson implores adults to look afresh at our environment saying “Did you know that every blade of grass is a different shade of green?” 1 In so doing we can open our minds to new possibilities and be rewarded with wondrous awe and wonder, discovering a wealth of patterns, symmetry, joy and inspiration in everyday nature. If you need a reminder of nature’s awe and wonder then google ‘sand grains microscope’ on the internet and be amazed by the gloriously detailed, highly patterned images that you will see. I guarantee you will never look at a sandy beach in quite the same way again! Inspired by the sticky globule left by some gorgeous Longiflora lilies, my 11 year old dusted off her magnifier to take a closer look. What followed said it all, as she gasped with awe as a multitude of dash-like lines came into view. How fitting then that her science homework was to create a cell? Choosing a plant cell to make, she set to work with jelly, a bouncy ball and loom bands to create the different #cell parts! If you want to have a go at making your own cell or even a cellular cake, check out http://www.wikihow.com/Make-a-Model-Cell. 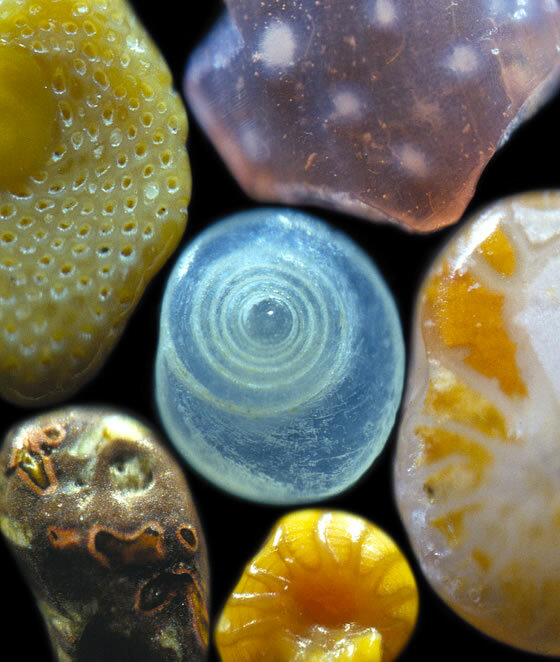 For more microscopic inspiration treat yourself to The Natural World Close Up (Giles Sparrow, 2011). Much more than just a coffee table book, children and adults alike will be wowed by the close up views of nature revealed. So go ahead and enjoy nature close up this weekend. 1 (My Voice Will Go with You: The Teaching Tales of Milton H. Erickson, Sidney Rosen, 1991). Happy New Year! I know it’s nearly February but with the lergy over Christmas and my book manuscript finally submitted, this weekend was definitely a time for celebration! It’s been a journey which I have thoroughly enjoyed as I’ve probed and discovered more about the world of objects and sensory-rich play. Like the exploratory hand positions that we instinctively use as adults to find out more about objects which may have their origin in children’s explorative play, young children’s hands and mouths are critical to their exploration and understanding of the world around them. From time to time we get a glimpse of this deeply rooted connection. If you’ve ever seen a child or adult poke out their tongue whilst concentrating on writing or doing something challenging then you will have witnessed this in action. Having researched and written about children’s full-bodied play and learning I saw this first hand when I sat reading with my nearly six year old. As he carefully decoded the writing on the page, he wriggled and squirmed, rolled and stretched, bent and twisted his body into any number of positions and shapes. As he contorted he literally spelt out the words with his body on the floor. With the final consultation on the EYFS over and the new framework expected in the Spring, it is hard to see how the emphasis upon school readiness and educational programmes will make learning more accessible for those, like my little boy, who thrive on full-bodied learning. Children are quick to pick up cues about what constitutes work and play and like it or not, sat still reading at a table with an adult present, invariably points to work rather than play. Whitebread et al (2011) suggest that the question shouldn’t be’ is the child ready for school?’ but ‘is the school environment [and that includes our own attitudes], ready for children?’ Sat watching his own unique approach to reading, the answer I fear is ‘no’.